Nintendo Co., Ltd., sold the Family Computer in Japan, Hong Kong and Taiwan. And that’s it. But that doesn’t mean those are the only three countries that had Famicoms. Sometimes Famicoms were imported elsewhere, like Korea. But, most often the Famicom was duplicated (often illegally). These duplicates are called “Famiclones” — a clone of the Famicom. Famicloning was illegal until 2003, when the patent on the Famicom expired and duplication became legal. Prior to 2003, however, Famiclones were available just about anywhere. Companies, such as Micro-Genius, made lots of money selling high-quality Famiclones. Others created portable Famicoms — like the one you see to the right. In this section, you’ll learn about Famiclones. One of hundreds of Famiclones sold around the world. The Handy FamiEight doesn’t look super cheap, and the Start and Select buttons even light up up when touched. Nice. The Micro Genius Family Computer is a pirate console made by Micro-Genius. It's a Famiclone, but not a legal one. The Super Joy III might not look at all like a console at first glance. It looks like an N64 controller. 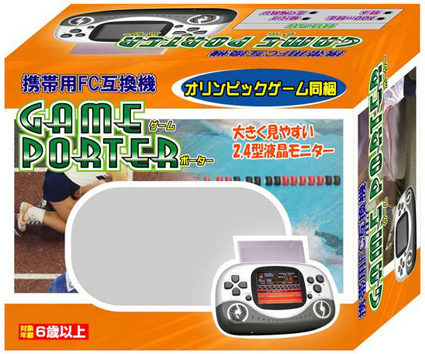 Free from fear, one of the first legally produced Famiclones also happens to be one of the best: the Yobo FC Game Console.